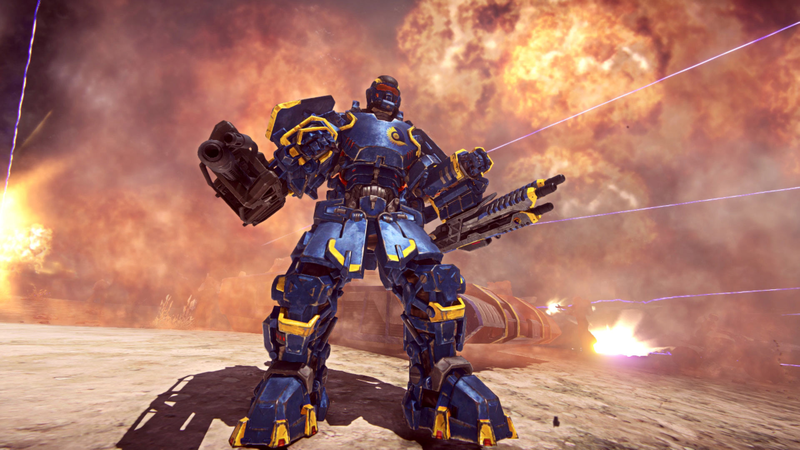 On June 23rd, 2015 Planetside 2, the largest scale FPS in the world (confirmed by Guinness on Jan. 24th) will be coming to the Playstation 4! The closed beta has been going on for a while now and they are finally winding down to the last legs of testing. And I had the opportunity to listen to Andy Sites (Director of Development) and Chris Bishop (3D Artist) as they gave us some insight on what to expect for the Playstation 4 release of Planetside 2. One of the biggest things they informed me of, is that it does not require PS+, so it is (I believe) the only game on the PS4 that’s an online multiplayer that will not require it. It is a special concession made to them, which I think is pretty terrific. To people unfamiliar with the game, there is already a Closed Beta article (here) where you can learn more about the game in-depth. To the console gamer who is unfamiliar with PS2, this is not the FPS you might be familiar with. 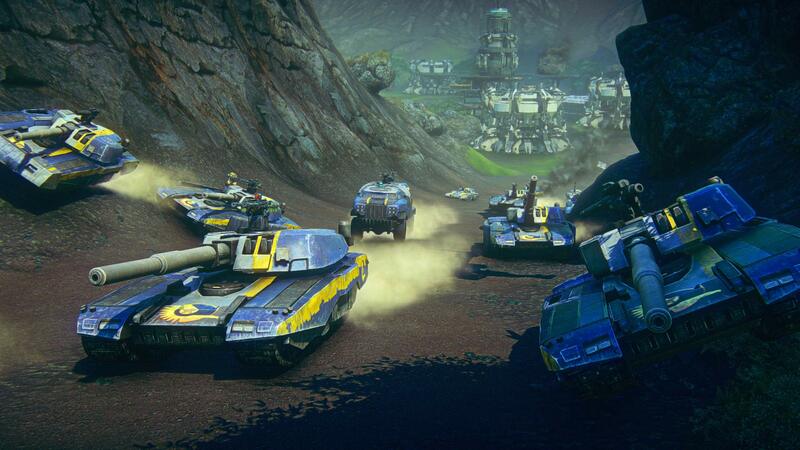 8 vs. 8, 20 vs. 20, all of this is small potatoes compared to Planetside 2, which has literally thousands of players duking it out, in three factions at all times! Not only is it thousands of players, but the game world is 8×8 square kilometers! It’s freakin’ gigantic to be sure. It is non-stop constant action, and the Daybreak Studios team has done a terrific job of porting it over, without it being a clone of the PC game. It is its own stand-alone game, with no transferring of characters from the PC version or vice-versa; the UI is cleaned up and more suited to a PS4, but it is the same action you could expect on the PC. The PC version of this game is not a “testing ground” for the PS4 version; I cannot stress enough that each is its own game. Though the starting/newbie area, Koltyr, is not on the PC version. It will be added in due time. You can come and go from this area, but it has something for even veteran FPS gamers, allowing them to learn the ropes of this game, go through tutorials that explain just how this works on the PS4 and in general. On the PC version, you have access to everything all the time, and on a PC that’s just fine! But a PS4 would look incredibly cluttered, so instead the game has “Battle Rank Unlocks” that allow you to gain access to equipment/vehicles as you progress. Now granted, much of the gear is available from the outset, but some of the really cool stuff is locked until you get a little farther. Another important feature they discussed was “Instant Action.” Now you normally warp to areas to get to combat, but from the map you can press a button to join “Instant Action.” Using algorithms, math, and a variety of other technical jargon, the game decides where the most balanced place you can go and do battle in is, and transports you there! This is incredible for casual players or veteran players who just want to jump into a fight and start killing their enemies. Though this is at heart a game filled with strategy elements, so players who group and want to hit certain areas on the continents will avoid this, and utilize instead the in-game voice chat and coordinate their assaults via the warp system. 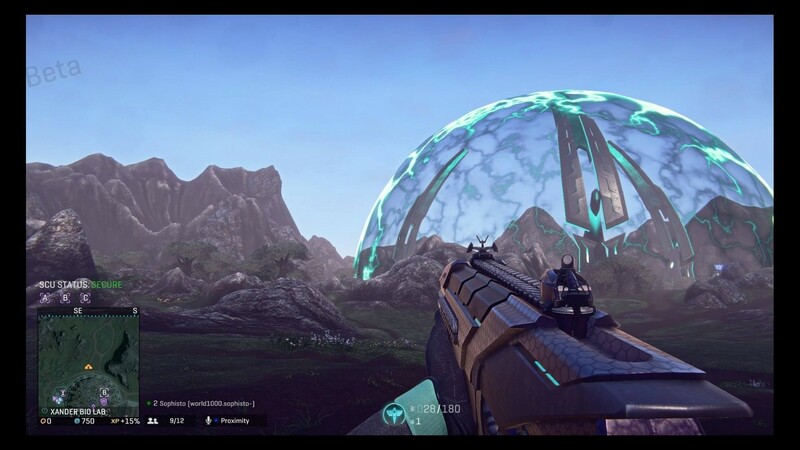 Still anyone that played Planetside 2 in the early days will confirm that at some point this feature comes in handy for all levels of player. One of the biggest fears of any F2P gamer is “will this game be pay-to-win?” and that is a more than fair question. 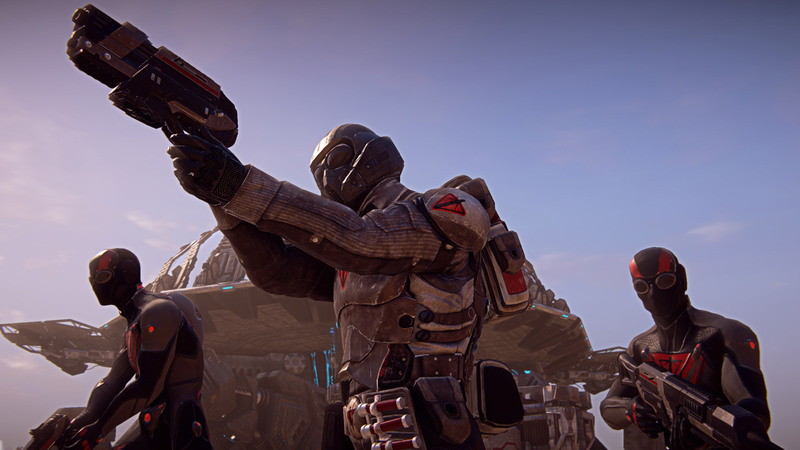 Yes, Planetside 2 features a Membership system, where you can acquire exclusive exp boosts and things of that nature, and there is a benefit to doing so: You gain 500 battle cash as an “allowance” every month to spend how you like. And I think that’s a terrific idea, though I do not know exactly how much that translates into in-game purchases at this juncture. 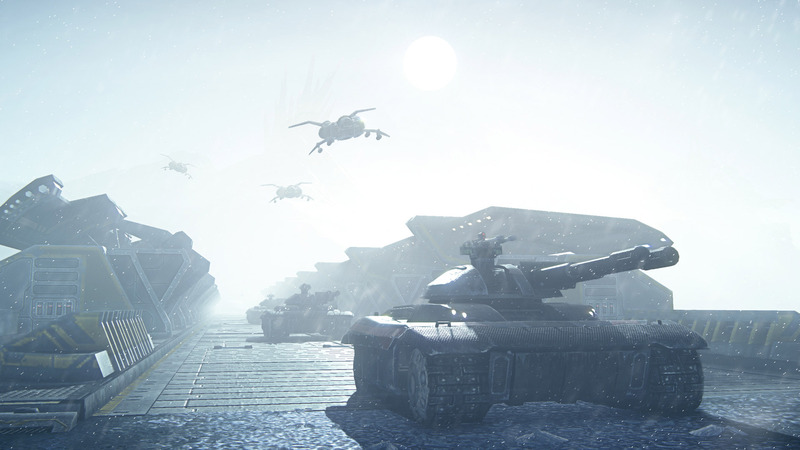 Yes, you can buy vehicles, weapons and other in-game combat accessories via the Depot (shop). But you can use in-game currency (certs) to acquire this gear just as well. Sure, someone who opts to use money will get guns right out of the gate, but it will not make them overpowered by any stretch of the imagination. “Pay to go faster” might be accurate, but I do not think having this cash shop will terribly overpower certain players. There are simply so many people playing at once that people who choose to spend money will not be standing out. Maybe if it were CoD size squads, then I could see being upset. All told, Andy Sites (@andysites) and Chris Bishop (@PS2_Bishop) were very friendly and open about the game, explaining some of the things that inexperienced press were unfamiliar with, as well as showing off the game in a very honest way. 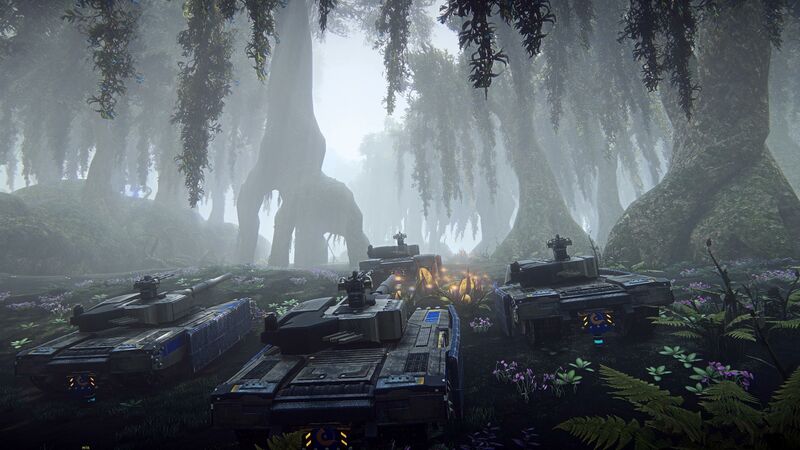 Expect Planetside 2 to make waves on the console, with the Playstation 4 version being beautiful as its PC counterpart. When I was in the Closed Beta, it was pretty small scale, only because of the times I logged on. But as a PC player, I know the chaos that comes with population in this game! If you have any questions concerning the game, both of those gentlemen are very open to talking on social media about any questions, but please don’t ask them for beta keys! Go to our giveaway instead! We’re raffling off 50 via our forum thread, and considering we aren’t primarily a console coverage site, chances are pretty high that anyone who posts to enter the raffle is going to get a key!